It’s What I’m Reading Wednesday! Usually, we reach out to one of our favorite authors and ask them to tell us what’s on their nightstands, but this week we had a hankering for memoir–so we asked the Gallery Books editorial staff which memoirs they’re reading and loving right now. There’s something for every taste in the list below! 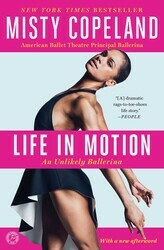 Becky Prager, Editorial Assistant: I’m reading Life in Motion by Misty Copeland. It ended up being quite timely as last week Misty became the first African-American woman to be named a principal in the 75-year history of American Ballet Theater. Misty’s experience as an African-American in the Caucasian-dominated world of ballet is well-documented and poignantly portrayed in her memoir. Her entry into the world of ballet, which happened so late in her life, is fascinating to me, as well as her tumultuous childhood. It’s an inspiring Cinderella story with accessible writing. Jeremie Ruby-Strauss, Senior Editor: Bennett Cerf’s At Random. It’s delightfully witty, demonstrates that most problems in modern publishing were in effect in some form one hundred years ago, and it captures the startup’s early, plucky hijinks. Elana Cohen, Assistant Editor: I just read All Who Go Do Not Return by Shulem Deen, a memoir by a man who spent most of his life in the Skverer Hasidic/New Square community, an extremely rigid Hasidic sect. Shulem began questioning his faith in his 20s, by which time he was married with multiple children and no formal secular schooling beyond an eighth-grade level. He eventually chose to leave the Hasidic community and divorce his wife, who remains in New Square with their five children and refuses to have contact with him or let him see his kids. This memoir was so thought-provoking and masterfully written, evoking Deen’s struggle to find himself within the community he called home for the first several decades of his life, and the repercussions of finally acknowledging who he isn’t–and who he is. Adam Wilson, Senior Editor: Persepolis by Marjane Satrapi — I loved this because it’s a fascinating look into a world I would have otherwise never seen. And to me, that’s the heart of what memoir should do. Mitchell Ivers, VP & Editorial Director: Bettyville by George Hodgman. 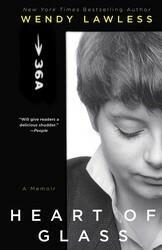 This is a rare memoir in which a person other than the narrator is the main character. In this case George Hodgman says goodbye to Vanity Fair and publishing—and a New York City life lived a little too hard—and goes back home to Paris, Misssouri, to take care of his aging mother, Betty. The portrait of this irascible, charming and eccentric woman is so endearing, you almost don’t notice how much he reveals about himself. 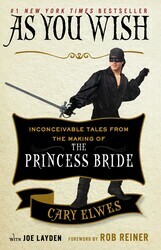 Natasha Simons, Assistant Editor: I recently read As You Wish by Cary Elwes. I absolutely loved this book; every little girl was in love with him in The Princess Bride, and I’m pretty sure he’s the reason I have unreasonable expectations of romance to this day. His book about the making of this classic is nostalgia magic. 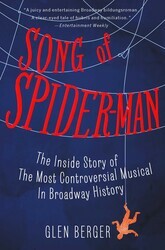 Abby Zidle, Senior Editor: It’s not exactly a traditional memoir, but I recently finished Song of Spider-Man by Glen Berger. It’s a recounting of the much-ballyhooed but also vexed Julie Taymor production of the Spider-Man musical, told by the show’s co-writer. If you like behind-the-scenes stories (or were a fan of “Smash”) you’ll enjoy following the steps that took a sure thing on paper and turned into an almost-debacle. Marla Daniels, Assistant Editor: I love all things Jackie O, so naturally I devoured Clint Hill’s memoir recounting his days as Jackie’s Secret Service detail. 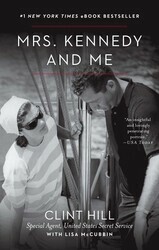 Offering an inside look at the life of such an icon, Mrs. Kennedy and Me is a charming, heart-warming and at times, tragic, telling of the close relationship Clint Hill had with the First Lady. Kate Dresser, Editor: I’m (finally) reading Wild by Cheryl Strayed. A long-time fan of Strayed’s “Dear Sugar” columns on therumpus.net, I’ve been meaning to read this memoir for ages. Now that I’ve finally gotten my hands on a copy, I’m wishing I could slow it down to savor it more. Karen Kosztolnyik, Executive Editor: I recently read Wild by Cheryl Strayed on a long flight. By page one, I was completely enthralled with her voice, and by the end of chapter one, I was weeping. Never in a million years do I want to hike a thousand miles on the PCT, but she made me want to join her on that trek until the very end. The Undertaker’s Daughter, Kate Mayfield (Abby): This fascinating, poignant story of a young girl growing up in a Southern funeral home in the 1960s is part Six Feet Under, part To Kill a Mockingbird. 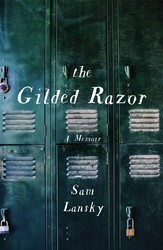 The Gilded Razor, Sam Lansky (Mitchell): A millennial Prozac Nation that’s a compelling and cautionary tale about the seamy underbelly of prescription drugs and high-achieving teens. 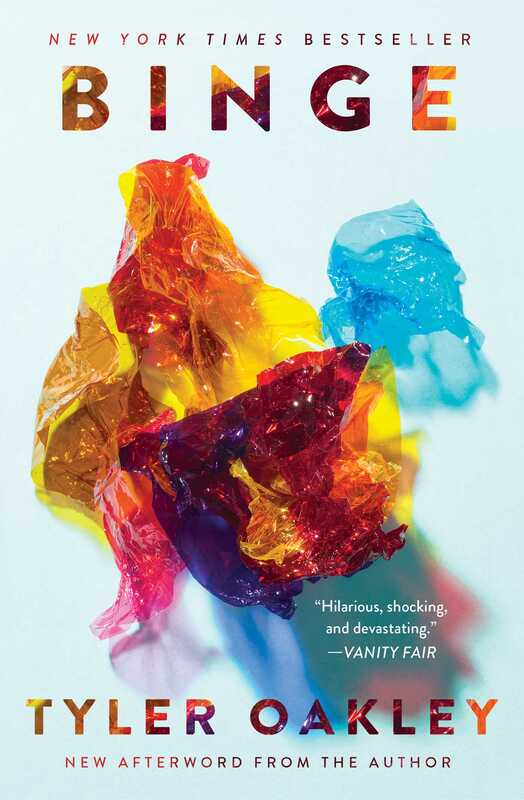 Binge, Tyler Oakley (Jeremie): In the vein of David Rakoff, Isaac Oliver, and Jonathan Ames, this book is so candid, self-effacing, and funny as to offer readers a viable form of cathartic therapy. 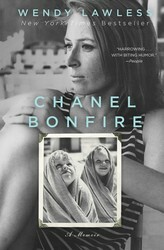 Chanel Bonfire and Heart of Glass, Wendy Lawless (Kate): Wendy’s first memoir is the story of a roiling childhood in the shadow of a Hitchcock-heroine of a mother. Heart of Glass, her sophomore memoir, about finding herself in her twenties, will be out in March 2016. 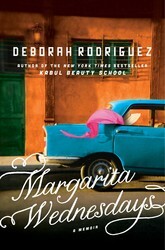 Margarita Wednesdays, Deborah Rodriguez (Karen): The author of Kabul Beauty School continued to lead a fascinating life after she fled Afghanistan, eventually washing up in a sun-drenched Mexican village with a cat, a Mini Cooper, and very little Spanish. A fascinating look at the birth of one of the "Big Five" publishers, and the history of publishing as we know it. Gossipy and highly readable! A moving and revealing exploration of ultra-Orthodox Judaism and one man's loss of faith. The first of two volumes, Persepolis was groundbreaking both in form and subject. We love a good "fractured family" memoir, and when it comes with recommendations from the likes of Alison Bechdel? What are you waiting for? "INCONCEIVABLE!" "You keep using that word...I do not think it means what you think it means." Perfect for Broadway fans who love "inside baseball" stories, or just people who remember hearing about all the injuries that plagued this star-crossed show. A beautifully respectful but intimate look at the close bond between Jacqueline Kennedy Onassis and her Secret Service detail. What if the place you called home happened to be a funeral home? To Kate Mayfield, it wasn't creepy...it was just life. In her stunning memoir, Wendy Lawless tells the often heartbreaking tale of her unconventional upbringing with an unstable alcoholic and suicidal mother, a real-life Holly Golightly turned Mommie Dearest. In this edgy and romantic second memoir, Wendy Lawless chronicles her misguided twenties; a darkly funny story of a girl in the gritty heart of 1980s New York City. Forget Gossip Girl--Sam Lansky's memoir shows just how seamy the golden children of NYC society can get. If you don't know who Tyler Oakley is, find the nearest pre-teen and ask. When the high-pitched squealing subsides, you'll both be ready to read this collection of madcap, hilarious, and moving stories from the YouTube phenomenon. This is a great selection of memoirs! 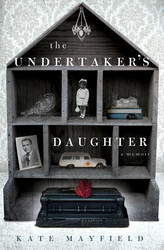 I have had “As You Wish” and “The Undertaker’s Daughter” on my to read list for a while.